We booked our half-day city tour (Php 500.00 per head) through Skylight Apartelle. Tour inclusions are entrance fees, private transport in an air-conditioned van with appointed driver and tour guide. 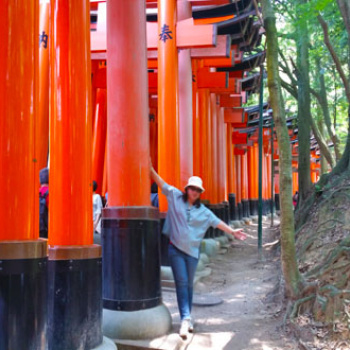 We spent our whole afternoon touring the city together with other four vacationers. 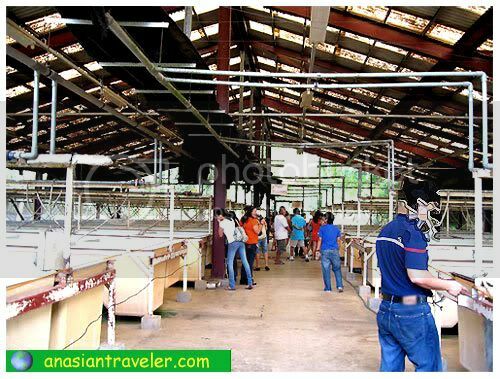 We visited several tourist spots such as the Palawan Wildlife Rescue and Conservation Center, Iwahig Prison and Penal Farm, Palawan Butterfly Garden, Baker's Hill, Mitra's Ranch, Plaza Cuartel and Immaculate Conception Church. 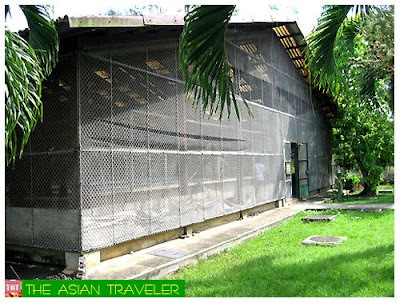 We start off our tour by heading to Palawan Wildlife Rescue and Conservation Center, formerly known as the Crocodile Farming Institute. 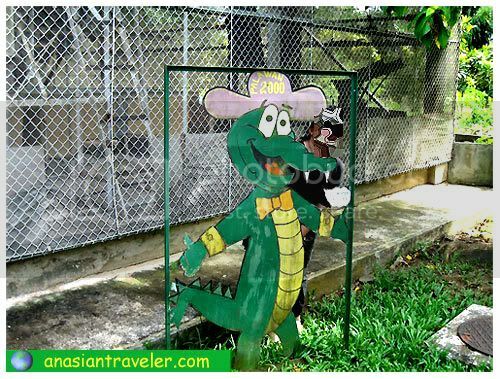 Palawan Wildlife Rescue and Conservation Center is both a tourist attraction and a research institute devoted on endangered species of crocodiles. 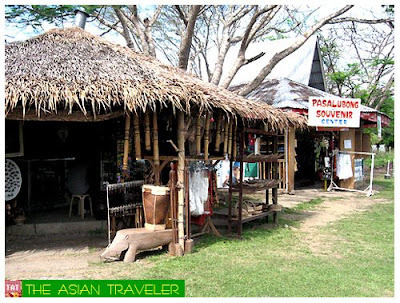 There are two souvenir shops in the center selling the same sort of things, lots of handicrafts like wooden jar, carved animals, native accessories and bags, masks, Palawan t-shirts and a lot more. 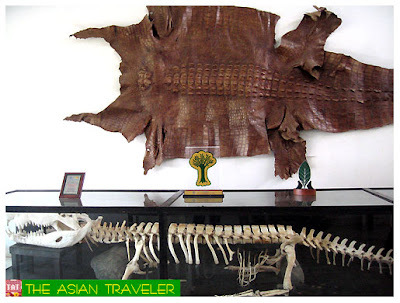 The mini museum houses a collection of preserved crocs. There is the largest skin and skeleton of a 90-year old crocodile on display. 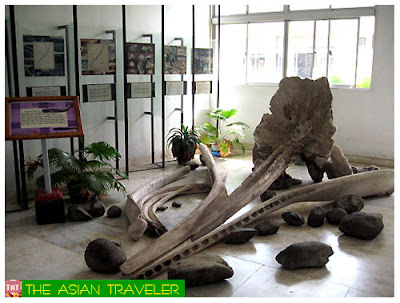 On the other side are the bones of a sperm whale recovered from Tubbataha Reefs of WWF Philippines. The huge bones on display are from the head and lower jaw. We went inside a large hatchling house with rows of nesting area. Soon we had the chance to safely observe one of the world's most magnificent predators at close range. 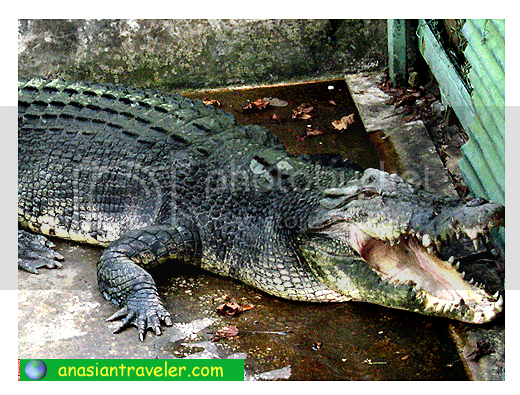 On one of their shallow pools was kept a very huge crocodile, the biggest one I've ever seen. 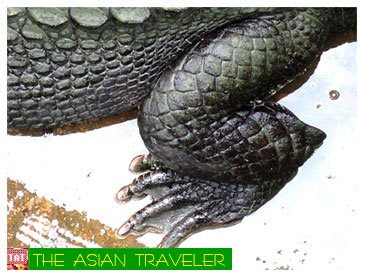 The super heavyweight croc stands up on all four feet with its half abdomen on the ground and had a hard time walking on the concrete floor. I was all alone watching in amazement and I had all the pleasure taking photos. 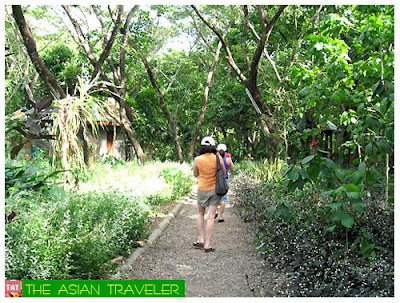 Then we went hiking down a series of paths where there is also a mini-zoo of the farm, which features some of Palawan's endemic species of wildlife. We saw some talking Mynahs, Palawan Percupine, Owl, Leopard Cat, Cockatoo and Ostritches. 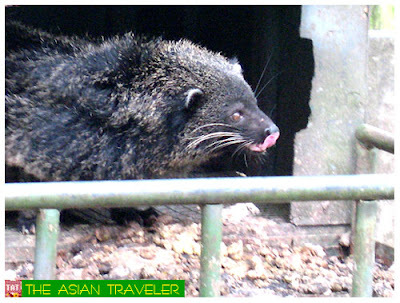 We had also seen Palawan Bearcats. 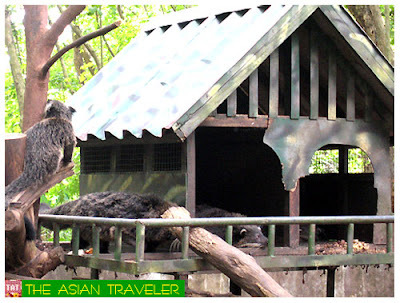 It is said that they live in the lowlands and extend in dense of original and second growth forests, and that they are feeds on fruits, vegetables and meat. After we toured the area, hb and I had the opportunity to hold a real crocodile hatchling. Please keep in mind they're charging a fee for taking a picture. 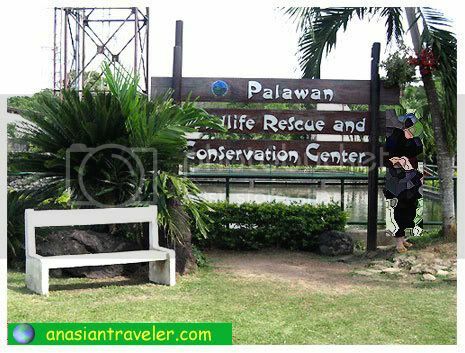 Palawan Wildlife Rescue and Conservation Center visiting hours are from 1:30 to 5:00 pm, Monday to Friday and 9:00 am to 12:00 nn, and 1:00 to 5:00 pm Saturdays. Feeding time is every Monday and Thursday afternoon. Joining a tour is more convenient but if you want the freedom to wander at your own pace, you can a hire a jeepney or a tricycle to get to the place. 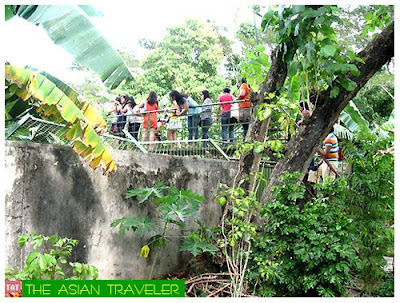 It is located in National Road, Barangay Irawan, about 30-40 minutes travel time from city proper. 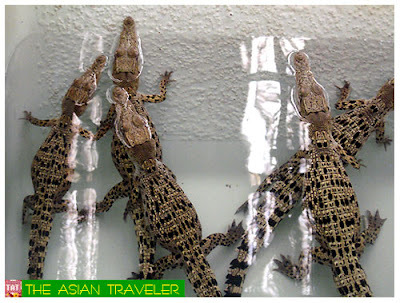 You should jasper, Palawan is a nice place to explore with its own unique flavor and attractions.